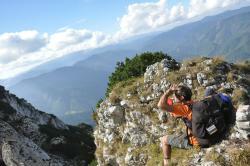 Tours from Discovery Transylvania Tours tend to sell out - travelers recommend booking in advance! 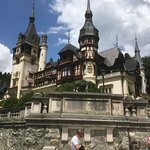 We took a tour of Peles Castle, Bran Castle, Raznov and more sights in the area with Traian. It was a great tour and we were very happy to have booked the tour. We did not have to wait in line for a long time to enter the sites and Traian was very knowledgeable. He knew all of the details of the sights that we visited and we could tell that he is very passionate about his country and its history. We definitely recommend the tour if you are planning on visiting these sites! We were met at our hotel and spent a long day driving to the northeast to see three amazing buildings. But it was the entire day we spent, driving through the villages (some flooded due to the rain) before arriving, and the drive back through the gorges and Red Lake. We had a guide/driver who spoke excellent English and was able to provide historical details to make the monasteries come to life. It will go down as one of the days we'll remember. I'm glad you liked the tour we organized for you and your husband. I'm waiting for your return to Mysterious Transylvania and to show you other wonderful places, I wish all your dreams come true and your children grow to be happy and have a beautiful life . 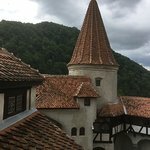 My sister and me booked a day tour at our hotel to visit three castles and a monastery (Peles, Bran, Rasnov citadel and Sinaia) and we were informed at the hotel that it would be a tour in a small van for a group of 7 people in total. On the day of the tour it turned out that we were just the two of us so it was a private tour! Traian Bichea is a very friendly and knowledgeable guide who speaks very good english and drives well (the small tour van is also new and comfortable) and even made us discover some typical Romanian music while we were driving. It was great to have such a friendly guide for the day who knew the region very well and told us so much of the rich history of the places which we visited and showed us the beautiful landscapes of the region. All in all my sister and me had a wonderful and memorable day, we absolutely loved the visit of the castles and we had the best tour and day we could have hoped for. Thank you very much for the review! It was a real pleasure to be your guide for a day in my wonderful Transylvania and I hope I will see you again in the future! 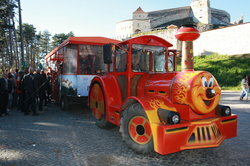 There are 2 companies with similar names, this company ‘Discovery Transylvania Tours’ and another one is called ‘Transylvania Discovery Tours’. Check out the other company’s excellent reviews on TA. 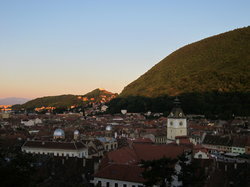 My husband and I through our hotel booked a tour with Land of Dracula the next day with a 9:00 am pick up. Unfortunately the driver had a family emergency and the Land of Dracula owner did not contact us or communicate to us or the hotel leaving us stranded with no tour. 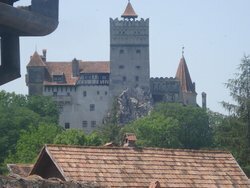 The hotel offered to contact their second choice the Discovery Transylvania Tour company and they kindly made available a tour guide to take us on our tour but at a premium of their regular posted rates - twice the price of Dracula Tours. 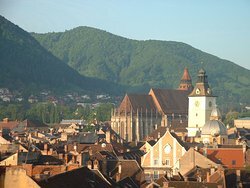 We agreed on the price so we cannot dispute that but we did agree as we had no other choice as we only had a short time in Brasov. 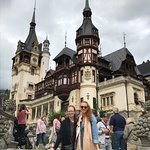 It became apparent to us almost immediately that the guide/driver provided to us from Discovery Transylvania Tours was super hyper and an unsafe driver. Going at speeds of 160km per hour and passing vehicles unsafely was scary and reckless. His non-stop talking about himself and his poor decisions he made in his life; trying to get other business from us was overwhelming and his need to get to his destination to have a smoke became obvious. At our first stop at Sibiu we could hardly wait to get out of the car. We decided that we no longer wanted him as a tour guide and we left him at the car which seemed to please him. We just couldn’t listen to him anymore. 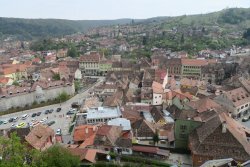 When we returned to the car we sped off to Sighisoara at warp speed. We asked him to slow down and after he almost went head on with another vehicle he slowed down for a bit but that didn’t deter him from speeding up again. We repeated our requests for him to slow down throughout the day. In that day we drove 500km in fear, making record speed of two full day Tours in 6.5 hours including lunch breaks and stops. 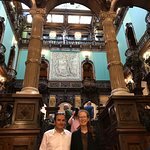 When I look at other reviews of this company, I see that Traian is a good man for a tour - we wish he had been our guide then at least we would have learned something about our tours instead of avoiding our reckless and irritating driver. We of course contacted the owner of this company for a partial refund and although he didn’t support his employees’ behaviour they contend that as we accepted the price - screw you. As mentioned at the beginning of this review - check out the other companies for either a good alternate company or a company that seems to provide similar Tours (if you trust them) for less money. Although our driver just left that company so I not sure what to say. 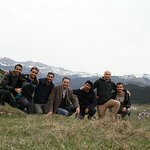 Me and my 5 friends had a free day in Brasov and we wanted to make the most of it. we called Traian B, and he offered us a perfect day for a fair price. Traian listen to our wishes for the day and took us on a amazing ride through beautiful places and really took care of us. he also explained every little piece of history he knew about the place and enriched our knowledge. 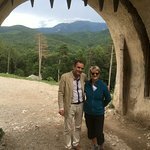 we really liked the comfort and style of the new Mercedes car and everything was perfectly organised for- entry to the Bran castle, beautiful restaurant booking (and translation), information and even the ride with him back to Bucharest. Traian - Thank you again for a great experience. we really recommend you try out Traian - you won't be disappointed!!! I'm very glad you liked the trip and appreciated the services we offered you. I am waiting for you to return to Transylvania with your future families and many children.